Friday, Friday....I've been waiting for you. Glad you are finally here! This card is another simple one for sure. The card base is from a 6x6 paper pad by Webster's Pages. 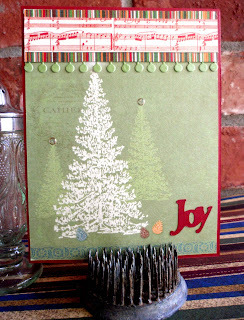 I cut the word JOY using my Slice digital die cut machine. I love the way the letters are connected and that it cuts from 1" all the way up to 4". I used the Words & Expressions digital cartridge. What I really want you to notice is the little green border near the top of the card. How did I cut that you ask? Well, by accident! 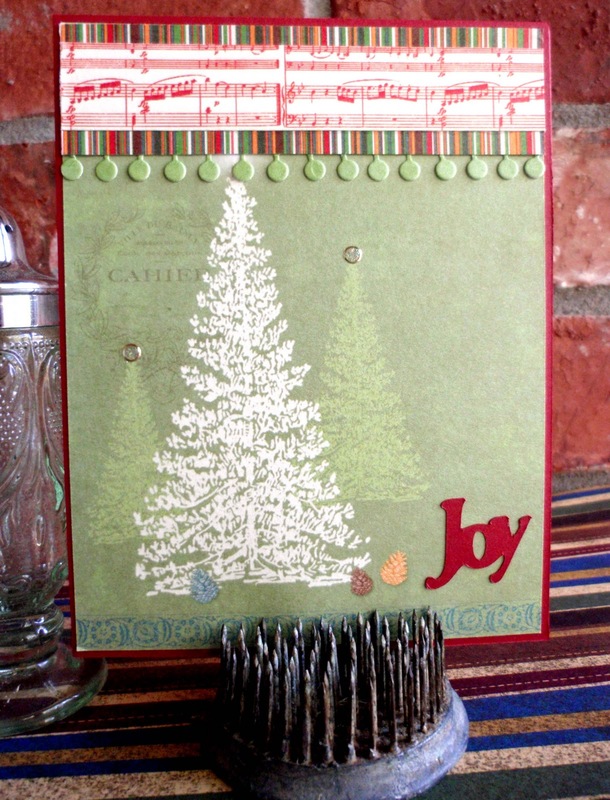 The die that I used is called the Notebook Edge from MFT Stamps. I guess I was just messing around with it and I noticed that the negative part of the die cut looked like little light bulbs strung across a line. So, yes, by accident I invented a new die cut! Here is a picture of the die. So the lesson for all of us here is twofold. Quick cards are fun and accidents make great art!